When most of us think of treatment options, what comes to mind is the tried and true - from proven pharmacological approaches to sound advice, like eating better and getting more sleep. These treatments may be effective, but the science of medicine is always pushing forward to find better ways to address the underlying causes of disease. At Boston Medical Center, we are dedicated to finding innovative treatments for some of our most pressing health needs. Breakthroughs might come from a discovery in a lab, or by achieving a deeper understanding of the human condition. In this issue, we highlight some of BMC’s innovative treatments and the research behind them, from the volunteer cuddlers that calm newborns born with opioid addiction, to pluripotent stem cell research that will someday allow scientists to replace damaged organs, to the healing power of art brought to a patient’s bedside. And you’ll read about the BMC Grayken Center for Addiction Medicine, where we will collaborate to find new solutions to the opioid crisis that has gripped our nation. Finding innovative treatments is not only imperative for the future of our health care system, but it’s also the right thing to do for our patients. Boston Medical Center (BMC), already an international leader in research, teaching, and clinical programming on substance use disorders and their consequences, is about to significantly intensify its fight against the most pressing public health crisis of our time. A $25 million gift from Eilene and John Grayken, the largest donation in BMC’s history and the largest private gift in the US in the last decade for addiction treatment and medicine, will create the BMC Grayken Center for Addiction Medicine. The gift was announced at BMC on March 6, with Senator Edward J. Markey, Massachusetts Governor Charlie Baker, Boston Mayor Martin J. Walsh, the Grayken family, and many members of the BMC community in attendance. This generous contribution will galvanize BMC’s efforts to combat the scourge of the nation’s addiction epidemic with an aim to make the center’s integrated research, training, prevention and treatment programs the leading standard. The need has never been greater. Fatalities from opioid overdose continue to climb at an alarming rate, with more than 33,000 deaths nationwide in 2015 - the most ever as the spread of the disease outpaces treatment efforts. In Massachusetts alone, nearly 2,000 people died of opioid overdose last year. Nationally, over 21 million people suffer from substance use disorders. Boston is already established as the epicenter of medicine and healthcare. It’s where groundbreaking medical research is conducted, where cures are found, where innovative treatments are developed, and where the best clinicians are trained and engaged. BMC’s leadership is central to the increasingly critical field of addiction medicine. For decades, the hospital has led research, teaching, and clinical programming on substance use disorders and their consequences. BMC has become a national and international leader in addiction medicine, developing and replicating models for care with tailored treatment programs across the spectrum of patients and care settings. It is also one of the busiest, most comprehensive centers for addiction treatment in the country. The hospital created the first-in-the-nation program providing addiction care in the patient’s primary care office, which has had a remarkable 67 percent success rate regionally and been replicated in 35 states. These programs have been further tailored for special populations, including adolescents and pregnant women. The hospital also created among the first ER-based and urgent care opioid treatment programs in the country. A program connecting hospital inpatients with addiction services has reduced ER visits for those patients by 30 percent. The hospital has also created groundbreaking addictions medicine residency and fellowship programs for doctors-in-training and provides extensive peer-to-peer training for clinicians around the country. 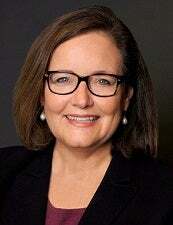 Additionally, BMC is the recipient of significant federal grant funding for its addictions research. The Grayken Center will allow BMC to build on its 25-year history of developing groundbreaking models and replicating them to enhance patient care, and expand provider education and an unparalleled commitment to research, innovation and overcoming addiction. Boston Medical Center was already on target to reduce its carbon emissions by at least 50 percent, but a new partnership with two area institutions to purchase solar power is expected to make BMC entirely carbon-neutral by the end of next year. BMC, MIT and Post Office Square Redevelopment Corporation formed an alliance to buy electricity from a large new solar power installation, adding carbon-free energy to the grid. 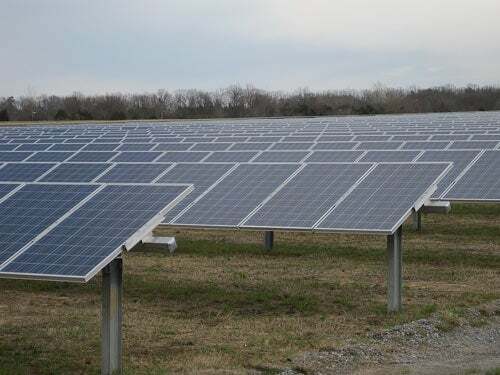 The agreement involves the construction of a roughly 650-acre, 60-megawatt solar facility on farmland in North Carolina. Expected to be operational later this year, it is currently the largest renewable-energy project ever built in the U.S.
BMC has been on track to dramatically reduce its emissions through a $300 million clinical campus redesign that includes upgrades to heating, cooling, and ventilation systems, a biodigester to compost food waste, and other improvements. This new partnership builds on that long-term commitment to sustainability through an investment in renewable energy. This innovative energy purchasing partnership that brought together different types of institutions who share similar goals is expected to serve as a model for other organizations seeking to reduce carbon emissions and mitigate the impact of climate change. A Better City, a group that serves as a voice of the business and institutional community on climate and energy challenges facing the Boston area, facilitated the partnership. It involves a 25-year power purchase agreement between the three Boston-area institutions and Dominion, a Virginia-based energy company. The expected 146 gigawatt-hours of emissions-free power per year will result in the abatement of 119,500 metric tons of carbon dioxide emissions—the equivalent of removing 25,250 cars from the road. It sounds like science fiction, but new advances in regenerative medicine will someday allow scientists to engineer, replace, or regenerate damaged or diseased body parts to restore normal function. At the Center for Regenerative Medicine (CReM), a collaboration between BMC and Boston University, researchers use pluripotent stem cells to better model diseases, grow organs, and edit genes to eliminate diseases – from sickle cell to Ebola – and move toward this future. Pluripotent stem cells come from adults and have the ability to turn into any specific type of cell. CReM researchers are working to understand the tightly controlled mechanisms by which this happens. While scientists often use animal or cell models to study human diseases, this has limitations, especially for diseases that affect multiple organs or systems. Pluripotent stem cells allow researchers to study the genetic underpinnings of a disease, how it progresses, and potential treatments. One team, for example, is studying lung cells to understand the signals that cause a stem cell to become a lung cell. With this knowledge, they could grow a human lung in the lab to study lung disease or potentially even correct mutations in a patient’s stem cells and develop a disease-free organ to be transplanted back into the patient. Traditionally, scientists use animal or cell models to study diseases, but these have limitations for human diseases, particularly diseases that affect multiple organs or systems. Pluripotent stem cells can be used for a more lifelike disease model to study the genetic underpinnings of a disease, how it progresses, and potential treatments. CReM is creating models for several diseases, focusing on ones such as sickle cell disease that particularly affect BMC’s patient population. For these patients, CReM's research on culturing large supplies of blood cells from pluripotent stem cells will eventually allow patient-specific "boutique blood" without the sickle cell mutation to be created in the lab and transfused into patients. In addition, researchers at CReM are collaborating with researchers at BU’s National Emerging Infectious Diseases Laboratories (NEIDL) to build models of infectious diseases such as Ebola. Recently CReM researchers have also had success in better understanding amyloidosis, a rare disease in which abnormal proteins build up in organs, and they have contributed to pioneering clinical treatment at BMC’s Amyloidosis Center. In lobbies and at the bedside, BMC patients are getting more than traditional medical care. They're writing songs, listening to concerts, and seeing art from local artists across the hospital - and even in their rooms - as part of a collaboration between BMC and the Boston University College of Fine Arts. Called Arts | Lab @ Med Campus, the initiative brings art to patients and staff to promote health and wellbeing. For the past five years Arts | Lab has led a wide variety of projects facilitated by music, theater, and visual arts students. One program matches student musicians with teenage mothers to co-create and record a lullaby for their baby, with the goal of strengthening the bond between mother and child. Other programs involve patients working with musicians to perform a concert for physicians, or are centered on visual arts, such as an art cart that provides children in the Pediatric Emergency Department with art supplies. The goal is to provide creative solutions to stated needs, and therefore all of the programs have specific, wellbeing-related goals for patients and staff. A recent pilot program allows BMC staff to request an artist from an on-call pool to create a gift for a patient who is going through a challenging time. The artist meets with the patient, then returns within 48 hours with a present, such as musical piece, a painting, or a poem. The effects of these programs can greatly contribute to patients’ healing. Music therapy has been shown to decrease anxiety in patients, and visual art can help people process difficult experiences or trauma. In addition to its wide variety of arts programs, Arts | Lab is also carrying out its own research on the impact of its programs, particularly on how art can help create welcoming spaces within the medical campus to promote positive experiences for patients. As the opioid epidemic continues to impact so many lives, a new approach to treating the smallest victims—babies who were exposed to opioids in utero—is providing better care and resulting in shorter hospital stays. BMC has become a leader in promoting non-pharmacological treatments like soothing and cuddling over medication for neonatal abstinence syndrome (NAS). During the past two years the incidence of NAS in babies who were exposed to opioids in utero has increased more than 300 percent, and BMC sees more than 120 cases a year. Mothers who seek treatment for addiction early in pregnancy are typically urged to stay on methadone or buprenorphine to reduce the risk of complications. After birth, babies often have symptoms of withdrawal, including tremors, irritability, and trouble feeding and sleeping. While many babies born with NAS are medicated with small doses of narcotics to reduce their withdrawal symptoms and gradually wean off their dependency, BMC has improved NAS care by promoting treatment plans that do not rely on medication. This includes empowering the parents to be the primary caretaker, teaching them how to respond to their baby’s cues, and lessening the withdrawal severity by staying at the baby’s bedside, holding and swaddling them, breastfeeding, and providing sound stimulation. For situations where parents are not able to provide this care, BMC has started a volunteer cuddler program for NAS babies called CALM, for Cuddling Assists in Lowering Maternal and infant stress. The CALM program launched in December and already has more than 100 volunteers who spend two-hour shifts with a NAS infant suffering from withdrawal symptoms. 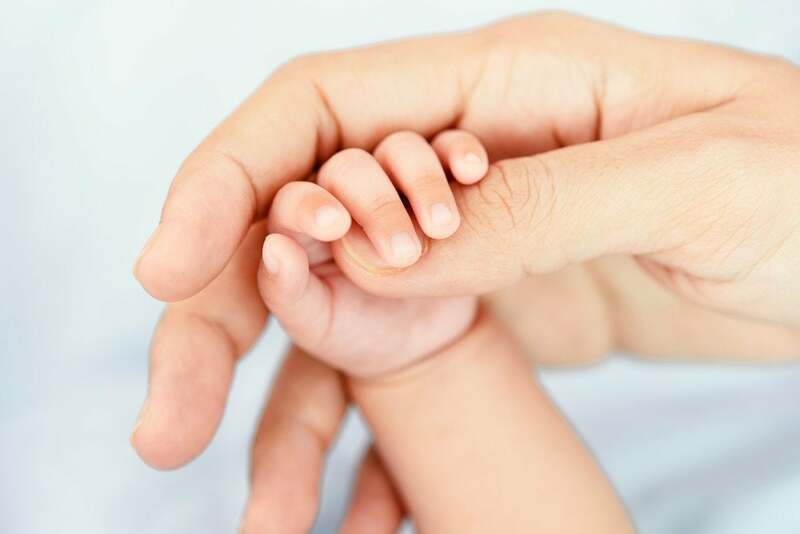 “They’re calmed by the fact that someone is holding them,” said pediatrician Dr. Elisha Wachman, a leader in the study of NAS who runs the CALM program. “We’re really promoting the parents as the primary treatment for the baby, but once the moms leave the hospital, there are some parents that find it really difficult to get back here” she said, explaining the need for the volunteers. The success of this approach has received significant attention in the health care community and was recognized by the Massachusetts Health Policy Commission, which awarded BMC a $250,000 grant to reduce length of hospital stays for infants with NAS. Overall, BMC has been able to cut medication treatment rates for NAS infants by 40 percent, cutting the length of hospital stay for babies and health care expenses in half.